Buddhist biographies have few detailed accounts of illness and disease. However, since illness and disease have been such teachers to me, I have found inspiration from those less common passages and stories which touch on this tender topic, so central to our human experience. The nineteenth century Tibetan master, Mipham the Great, reported suffering for seventeen years ‘without respite,’ from an extremely painful nerve disease. 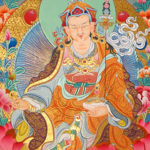 (1) Likewise, some of the greatest masters of the Nyingma lineage dealt with chronic ailments. Therefore, this is a brief account of two Buddhist master’s advice on practicing with illness as the path plus stories from the lives of Buddhist teachers to soothe the sick and weary. The first passage of advice on practicing with illness comes from Longchenpa’s seven treasuries. Longchenpa is the great fourteenth century Tibetan master of the Dzogchen teachings. He gave six pieces of pithy advice on how we can practice with our illness in his Treasury of Pith Instructions. Could sick and weary states be doorways to awakening Buddhist wisdom? Longchenpa frames illness in terms of its potential. The first suggestion is that an illness has a silver lining. If that illness is caused by negative karma, then this signals the completion of past karma. Through the illness that karmic debt is being paid. Two thousand years before western psychology was theorizing about the subconscious mind, Buddhists had espoused a model of conscious and subconscious mind. Due to past actions, latent tendencies may lie in wait in a sub-conscious sub-stratum, waiting to ripen in the future. This is problematic in the sense that there may be negative experiences waiting to arise in times to come. When illness ripens, since this may be the result of such negative karma, there is some relief to have it over with. The karmic debt has been paid. Even if it is not illness caused by karma, any kind of pain can be used to burn off negative karma through dedicating the illness for that purpose. Behind this idea is the Buddhist belief that our intentions are a powerful force that can change the underlying dimension behind events. This prayer is included in the practice known as “Carrying Happiness and Suffering on the Path,” from the Pegyal treasure cycle. It says – “If sickness comes be glad -may it substitute for the sickness of all embodiment.” When this kind of aspiration is made, we state a dedication that the pain and loss caused by our sickness goes to pay off our karmic debts. This belief in karmically oriented illness is a major factor considered in Tibetan Medicine. When an illness is non-responsive towards the remedies that should work, that may be one sign it is karmically generated. Or in other circumstances, a divination done by a Lama may expose the karmic etiology. In these cases spiritual remedies are given such as rituals, longevity practices and mantras. These remedies depend on highly skilled practitioners who specialize in such practices and perhaps also on the devotion and belief of the recipient. Even then, there is of course, no guarantee. Such was the case in the story of the highly skilled Lama Dzeng Dharmabodhi (disciple of Phadampa Sangye). Dzeng recited many healing mantras when his brother had leprosy but it was not cured. It is this factor of karmically oriented illness that explains why illness is sometimes associated with stigma or the unenlightened condition. Perhaps this is why there are so few accounts of major Tibetan master’s bouts with illness and their philosophies about them. However, this is like so many other issues in Tibetan Buddhism, where multi-vocality is the norm. There are many different views and understandings of the body and disease processes, which correspond to the different vehicles, the yanas, from which the person sees their world. 2. Cleanse the Residue of Negative Emotions. Longchenpa also reminds us that illness can cleanse the residue of negative emotions. Perhaps this refers to the way that a grave illness can cut through petty resentments, angry tendencies, jealousies, arrogance or grasping. There is a certain level of illness that can nullify our usual rapture with neurosis. Suddenly, only what really matters remains. 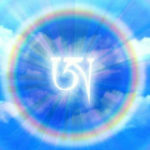 Love, forgiveness, kindness, impermanence and compassion. It may also refer to further cleansing of karma, which is the incinerating of latent tendencies and karmic residues. The third and fourth teachings given by Longchenpa each highlight the potential for spiritual insight in the face of a health crisis. He says that illness can heighten our yearning and devotion and that it can motivate us to do spiritual practice more diligently. Perhaps this is evidenced by the stereotype of the atheist who prays to god when diagnosed with a terminal illness. When mind is all we have left as our body deteriorates, it becomes imperative to deal with the big questions. By necessity, when we are sick and weary, we are aware of the need for refuge and peace. If mind is the only resting place we have left, it is imperative to know the true nature of reality, to discover intrinsic confidence. It can also be a heart opening experience as we feel the power of the compassion and mercy of others which we may so sorely need in such times. Impermanence and pain are great teachers showing us what matters most in life. Illness was also the turning point for Gelongma Palmo. Her story is featured in Pema Khandro’s post on a Buddhist Nun’s Illness. After undergoing the excruciating loss of her beauty, her toes, fingers and mobility due to contracting leprosy, she developed intense aspiration for awakening. Her compassion grew to extraordinary proportions and she gained liberation. The notion of a the turning point when triumphing over disease is interwoven with Buddhist understandings of illness, but its essence translates across cultures. Western views of illness tend to be attributed towards biological or even psychological causes. 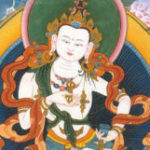 However in Tibetan Buddhism illness has been regarded in a variety of other ways, as a sign of what kind of religious role one should take, as a signal for a need for a new direction, as a kind of environmental illness related to local spirits, as symptoms of crisis, as karmically produced and so on. For example, in the case of a future oracle, an illness may come and then be transformed into spiritual capacities. That person will then use these abilities for the sake of others. It may be transformed into the power to help others heal. In the cross-cultural encounter with Buddhism, it may be hard to translate these situations into our western scientific system – however the overall message behind these views is quite applicable. Vajrayana’s great teaching is that obstacles can be harnessed and transformed into opportunities for liberation. As Longchenpa says, in the face of illness our devotion and yearning may strengthen, our motivation to practice more diligently can rise. Even when our body is sick and weary, from our depths we may find the greater impulse of bodhichitta (enlightened intent) may arise. By carrying illness onto the path our spiritual growth can deepen. There is also the possibility of being introduced to the path of liberation through illness. This shouldn’t be mistaken as overriding the gritty, painful, difficult aspects of illness. Pain hurts. Agony feels horrible. But loss of our body readily discloses the reality of key Buddhist concepts. The emptiness is evident as we see the life we once knew vanish like a dream. The goals and cares we labored so intensively over may suddenly seem irrelevant. Impermanence is undeniable. Lack of absolute self is apparent as we see who we once were or how we thought life should be dissolve before our very eyes. Yet emptiness as nihilism is not there either. Presence remains – even as we lose ‘everything’ the moment to moment experience of awareness endures. Presence may be the only ground left, so we see the importance of relaxing into it. There is much revelation that is had in the face of disease. It can be brutal learning. But it is learning none-the-less. Finally, the last piece of advice from Longchenpa, is that illness can intensify and enrich our training. When our body is wracked with illness, it is easy to think that everything important will happen later. One thing I appreciate about this teaching is that it reminds us that our practice can still deepen in the dark moment of disability we may find ourselves in. We can discover the great teaching – this too is further training. The instruction to allow illness to intensify and enrich practice has been fruitful for me. I grew up with chronic illness and was in and out of the hospital during my teens. Its what drove me to learn natural medicine in general and Tibetan Medicine in particular. Investigating Buddhism in such states has been enriching to say the least. Five years ago I almost died from Rocky Mountain spotted fever, a bacterial infection from a tick. It took a few weeks before it could be determined what went wrong and I had extreme pain in reaction to the medication the hospital gave me. Before that time, whenever I had felt ungrounded or stressed, I would use breath and other somatic practices to find presence and ease. Then during that illness, that practice was no longer accessible to me. The pain was too excruciating to use my body as a ground. During that bout I was aware that this was an important time to experiment with what practices can be used even when in excruciating pain. It turned out to be true – as I had been taught – that luminosity practices can still be applied in such moments. It is the most simple meditation from Vajrayana Buddhism – which involves basically visualizing one’s body full of light and as light itself. It is a concentrated, pithy, immediate version of Vajrasattva meditation or Medicine Buddha practice – to integrate with luminosity. Vimalakirti’s reply echoes a major metaphor of Buddhism. It frames the four noble truths and the predicament of suffering and liberation in terms of a medical model. Suffering and dissatisfaction is the sickness. It is caused by ignorance – not knowing one’s true nature. But it is curable. The great physician, the Buddha, gave the path of Buddhism as the medicine. Therefore this was how Vimalakirti initially replied to Manjushri’s questions. However, despite Vimalakirti’s more philosophical reply – the conversation then turned in a pragmatic direction. Manjushri asked, how should one who is sick deal with their own mind? How should one care for another who is sick? Since every one of us will face illness and death in our own and other’s lives, the advice Vimalakirti gave offers a pragmatic look at how to apply Buddhist teachings in the face of illness. The first instruction which was given was meditation on emptiness – and its corresponding discoveries of first seeing the empty presence of ones true nature and secondly realizing the impermanence of all things. (4) This advice is to pay attention to the insubstantial nature of one’s body and one’s illness. Body is the primary basis for a fixed, solid identity. Watching its demise can be the catalyst for also discovering one’s own vast openness. Through letting go of the illusion of continuity, we can let go of the illusion of an unchanging core. This is emptiness meditation. It begins by realizing the “I” we have thought ourselves to be can’t be found. The meditation on emptiness also reveals that all our physical experiences are transitional states. What we think of as our body is in constant flux. What we think of as our illness is also in constant flux. Even what we think of as self is in constant flux. Paying attention to the space, the gaps and lack of solidity – this the first practice when facing illness. It is also the primary teaching of Buddhism, to meditate on emptiness is to get free from the cause of suffering. Our true nature is the inseparable emptiness and presence, but meditating on emptiness is the first step in discovering this. Impermanence can be painful when we deny it. However, accepting the reality of impermanence can also be a great comfort. For example, it is easy to project the bad feelings into the future indefinitely. Emptiness meditation implies paying attention to the always changing nature of our body, feelings and experiences. The experience we are having is impermanent and only needs to be endured one moment at a time, one day at a time. Emptiness meditation can also bring greater ease to the shocking experience of losing one’s bodily functions and facing death. Even in the case of chronic illness, where death may still be far off, an acceptance of emptiness and impermanence as facts of life can relieve the mind of the preoccupation and angst that comes from denying these elements. I am not suggesting that emptiness meditation will make everything sunshine and rainbows. But in the face of physical pain or the agony of disease, emptiness meditation can evoke a peace from which to face these difficult experiences. To meditate on emptiness in the case of illness is not nihilistic. It does not necessarily lead to not caring for the body or neglecting tending to health. Instead it is developing a relationship to body that respects its ephemeral condition. In contrast to nihilistic sentiments, Buddhists have gone to great lengths to care for their health. One example of a great Buddhist teacher who fell ill is in the biography of Mingyur Paldron. 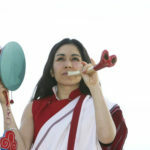 You can read more about her here Pema Khandro’s post on Mingyur Paldron. Mingyur Paldron had a stomach tumor and cured it with Tibetan medicine. In fact, this is why the science of medicine is said to have arisen in the first place according Yutok’s commentary to the four medical tantras. The medical science was given in order to maintain health, heal sickness in the human body, attain longevity along with the wealth of dharma and happiness. Whether it was applying Tibetan medicine, or changing one’s lifestyle, or doing prayers for healing, great Buddhist practitioners of the past applied skillful means to ensure their bodies health. Not all take that path, but some do. So it is clear – we can care for our body even though it is impermanent. In fact all things are impermanent and yet the Buddhist practice is to generate great love and compassion for this impermanent display. So if emptiness meditation is not nihilistic, what role does it have in facing illness? The key elements are letting go of a grasping to a self, emptying out the concepts that crowd the mind and blot out presence of awareness, surrendering to the transformation of the body, no longer concretizing of the experience of illness, coming face to face with impermanence and accepting it, realizing one’s true nature as empty and present. The second practice given by Vimalakiriti for practicing with sickness is to have the goal to heal both the body and the mind. In other words, to gain back our energy level or digestive capacity or to have cancer in remission alone would fall short of what is possible. The goal could be to have these positive physical results as well as attaining equanimity. We would attempt to find a depth of peace of mind that can remain the same in sickness and health. In other words, when facing illness, the goal could be liberation or at least to establish equanimity. Facing a serious illness can be a radical space where life is reduced to more simple things. Normal activities and even planning for the future may no longer be an option. The hustle and bustle of work, family and social responsibilities is replaced by enormous new tasks such as getting out of bed, breathing, eating food, finding the right doctors, dealing with the roller-coaster journey to find the right medicines. It is an important question to ask – how can I rest into mind through this? What is it to rest the mind deeply when the heart and body are weary? Is it possible to let go such so that some equanimity can be found here in this new phase of life? In the face of losing so much, what remains within me? In this case we are asking, how can illness be further training? 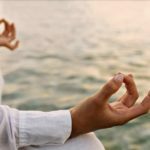 Depending on the type of illness we have and the level of our experience with meditation and Buddhist study – this may be may be meager or profound. It is not a matter of just bucking up, or being happy, or optimistic or ultra cosmic. This is a matter of finding a way to make peace with our own minds. Compassion towards our situation is integral to carrying illness on the path. Establishing a meditation practice can be a saving grace, but it may not be straightforward if you are very ill. If you are new to meditation you can read my explanation here: Pema Khandro’s Guide to Meditation. Pain can make meditation very difficult. Or brain chemistry imbalances can make the experience of ease inaccessible. We have to adapt to our limitations having compassion towards ourselves and our situation. 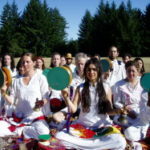 Luckily, there are many different kinds of meditation practice. In a highly anxious state the double exhale could be done gently. If one is very depressed, silent sitting meditation may be contraindicated and a mantra could be used or memorizing a Buddhist text such as the Heart Sutra. If it is difficult to concentrate, perhaps listening to a guided meditation could help. 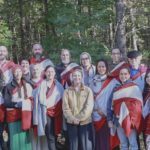 There is also my article on meditation alternatives: Pema Khandro’s advice if you have trouble establishing a meditation practice. Most important of all practices is to develop bodhichitta, the altruistic intention. The important thing in developing a firm basis for spiritual development is to adapt to the actual circumstances at hand rather than aim for an ideal which is out of reach. It could be a great achievement to have even the smallest goal of five minutes a day of deep relaxation, surrender, prayer, visualizing light pouring into the body or quiet time. Every person has to forge a relationship with peace on their own terms. However long or short, however deep or minute, it is the regularity of practicing each day that matters. And if it can’t be found, the next practice offers something very accessible. The third type of instruction Vimalakirti gives for how to carry illness onto the path is an instruction which goes against habitual instincts. When we are under a great deal of pain, or suffering greatly, it may seem counterintuitive to meditate on the pain and suffering of others. However this is a key practice. This meditation has two parts. The first part is to contemplate the sickness of living beings. If we have a painful rash covering our arm, we imagine others whose arms are also burning and aching. Or if we have lost the functioning of our speech after a stroke, we imagine others who feel frustrated and helpless as they can scarcely say a few words. In other words, we contemplate others who suffer the same sickness we are enduring. Thinking of others suffering is very important. It generates kindness, mercy and compassion. It reveals our interdependence with others. It breaks down walls and conceptual barriers and opens us up to the tender space within which intrinsic courage can be known. Without compassion life is bleak and distorted. With compassion our courage arises. The second part of this practice is an aspiration. We generate the strong wish that the others we are contemplating would be healed, restored, relieved and renewed. We generate the wish that not only would their body be healed, but that they would come to know their true nature and be free from all dissatisfaction and confusion. We generate the wish for their liberation. It is altruism at its heights – not only to feel others suffering, but to cultivate the heartfelt wish for others suffering to be relieved. Many people assume it is a burden to think of others suffering when we are already weak and ill, that we could get exhausted by compassion. But the Buddhist response to this is that because we understand that their illness and our illness are empty; knowing our body and all things are empty, this compassion is not exhausting. There is no sense that there is a burden to reify. Compassion based on insight and understanding will not wear us out, it will connect us with our true nature. Also, because we are developing the firm wish for their healing, our compassion carries with it a sense of empowering aspiration and uplifted vision. This is what Vimalakirti is referring to when he says that great compassion does not exhaust a Bodhisattva. My advice is this – Regard illness as a training for dying. If we utilize illness as a training for dying practice, then it is a most important training opportunity. Ultimately we will all face a final illness and enter into the dissolution of the elements, the demise of our physical body before our very eyes. If unprepared, this can be terrifying, shocking and cause for grieving or even an onslaught of emotional reactions. 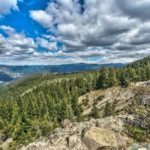 Physically speaking – it is a helpless and total experience. However the one thing we can govern is our minds, where we place our minds in this process. This is why it is so important that during our lives we practice deep relaxation, compassion and the uplifted gaze of enlightened intent – while we are in the midst of intensity. This habit will serve us well in times where we lose control on a radical scale in the dying process. Every time we are ill we are in a training ground for the final illness, how we will face that, what state of mind we will be in. So we can take seriously that the illness at hand is a useful opportunity to prepare – the path of fearlessness through preparation. Buddhists believe that dying and death are decisive moments which will set the tone for the post-death experience and future lives. It is also our last opportunity to apply practices and generate positive momentum (aka merit). If we regard illness as our training for the great departure, then illness can be a great teacher to us. 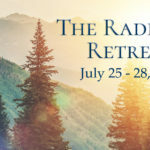 Of course we will need some training to really do this – what is meditation except a lesson in where to place our minds, how to rest our minds, how to find ease in experiences (whatever they may be). Even in Buddhist practices for healing such as the Medicine Buddha practice, the goal of these practices is not just a future return to health. That is a secondary goal. The primary goal of the practice is the present moment immediate benefit of resting our mind, leading it home to meet its true nature. To develop this capacity of resting the mind in its natural state is to develop a capacity which will serve us well. We may start with wondering how we, based on deliberate initiative, can carry illness onto the path – but as we find deeper surrender and presence, this is how illness can carry our mind onto the path. (1) Dudjom (2012-07-23). The Nyingma School of Tibetan Buddhism: Its Fundamentals and History (Kindle Location 21026, 27007). Wisdom Publications. Kindle Edition. (3) Diemberger, Hildegard (2012-08-14). When a Woman Becomes a Religious Dynasty: The Samding Dorje Phagmo of Tibet (Kindle Locations 3141-3142). Columbia University Press. Kindle Edition. (4) This is the two fold realization of the selfless of individuals (Tib. gang zag gi bdag med) and the selflessness of phenomena (Tib. chos-kyi bdag-med). In the Nyingmapa Dzogchen tradition, the individual is seen to be both emptiness and presence, also known as the inseparability of emptiness and luminosity. Focus on emptiness is deconstructive process of letting go of illusions, seeing past false reifications of reality, release exagerated reliance on concepts and denying impermanence. However the realization of emptiness leaves something remaining, emptiness is also empty. Instead of emptiness being nothingness, it is inextricably interwoven with presence, the self-reflexive awareness. (5) Rangdrol, Shabkar Natshok (2014-06-03). The Life of Shabkar: The Autobiography of a Tibetan Yogin (Kindle Location 7951). Shambhala Publications. Kindle Edition. Rangdrol, Shabkar Natshok. (Translated by Padmakara Translation Group.) Food of Bodhisattvas: Buddhist Teachings on Abstaining from Meat. Shambhala Publications, 2004. Rinpoche, Dudjom (2012-07-23). The Nyingma School of Tibetan Buddhism: Its Fundamentals and History. Sommerville, MA, Wisdom Publications, 1991. Shantideva (1990), Santideva’s Bodhicharyavatara: Original Sanskrit text with English translation and exposition based on Prajnakarmati’s Panjika, Delhi: Aditya Prakashan. Shantideva; Batchelor, Stephen (Trans). A Guide to the Bodhisattva’s Way of Life (6th Revised ed. ), Snow Lion Publications, 1992. Thurman, Robert (2000). 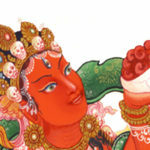 The Holy Teaching of Vimalakirti: A Mahayana Scripture. Pennsylvania State University Press. Watson, Burton (1997). The Vimalakirti Sutra. Columbia University Press.